WiFi became standardized under 802.11-1997 in 1997. Since then, there have been numerous updates to its specifications — all with the 802.11 prefix. Now comes another update to the WiFi family: 802.11ax. If you’ve ever experienced a painfully slow connection at a conference or airport, then you’ll love 802.11ax. The new standard promises to deliver a more efficient and stable connection to access points that operate in high-density environments — at greater speeds and throughput. Under 802.11ax, speeds could be anywhere from four times to 10 times faster and batteries will last longer. Here’s a look at the new standard and how it’ll impact us and our networks. Watching YouTube videos, streaming music and shows, sharing pictures with family and friends, and playing online video games: These are things most of us do on a daily basis. Our ability to enjoy all these things rely on wireless connections. But those connections have to be able to handle all that data, which is a herculean task. 802.11ax is designed to facilitate the predominance of wireless devices that use high bandwidth streaming. The standard also addresses issues found in high-density environments, like multi-tenant office complexes, airports, and conference centers. Places we’ve all bemoaned internet connectivity at one time or another. All of these places generally have a lot of users and many — potentially conflicting — access points. 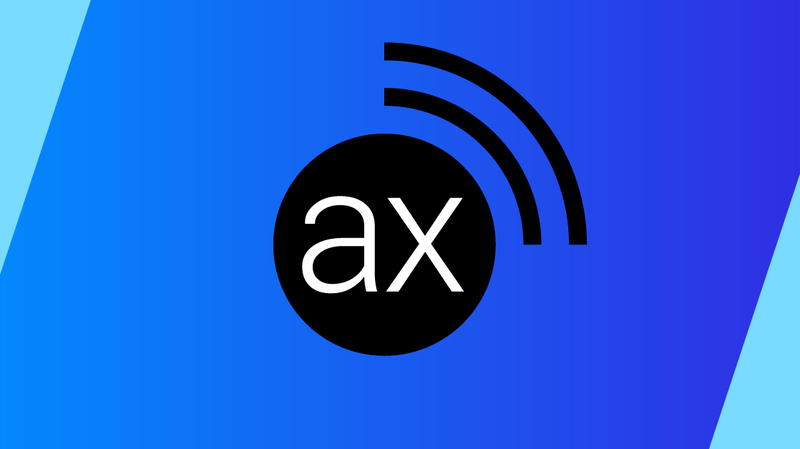 Fortunately, 802.11ax will operate on multiple wireless spectrums (2.4 GHz and 5 GHz), unlike the current 802.11ac standard, which operates on the 5 GHz band. As additional slots between 1 and 7 GHz become available, 802.11ax will support them. 802.11ax is taking lessons from the way that cell phones and towers work. They’re providing more power to the access points — to schedule data transfers with clients and subdivide channels more efficiently. In a lot of ways, 802.11ax doesn’t just speed things up, it also makes everything much more efficient. There’ll be wider channels, and more of them, which means throughput goes up. 802.11ax’s capabilities should result in a serious uptick in speed — at least four times faster than 802.11ac. However, some experts estimate it could as much as 10 times faster! The bottom line? We won’t have to fret as much about wireless connectivity, even in highly congested areas. Imagine being able to stream an entire season of your favorite TV show in a crowded airport terminal without skipping a beat. 802.11ax is likely to dramatically improve our user experiences with our favorite streaming media formats. Speaking of streaming for hours— we all wish our battery life on our laptops or smart devices would last forever. That’s not possible (yet), but 802.11ax can help us get more out of our battery life. As previously mentioned, 802.11ax will make access points better at choosing when clients receive their packets. Access points will poll clients to learn what sort of traffic they need on the network. Then access points will create a schedule around which clients have time-sensitive needs, which clients have large-packet requirements, and which are repeatable and predictable. That schedule gets disseminated to the clients — and then each client turns on its signal and receives its packets at its allotted time. This technique is called TWT (target wake time). It might not seem like a huge difference to us on a macro level. But at the micro level, huge battery savings can come out of it. Just like turning lights off in a room you’re not in, turning off the signal when there’s nothing coming through can save a lot of battery over the span of that connection. However, you’re probably going to have to wait to enjoy longer lasting charges. Another benefit of the new standard is its compatibility with previous versions. You aren’t forced to switch everything out at once. You can stay on your current refresh cycle. However, to fully enjoy the benefits of 802.11ax, you need compliant devices talking to compliant access points. Certified 802.11ax chips need to be made available. Products with early versions of 802.11ax have already shipped, but beware — you’re not guaranteed a compliant product until the standard is finalized. There are two dates to watch. The final standard will be published early in 2019. The WiFi certification is expected by the end of the year. Realistically, broad product availability probably won’t be until 2020. With the exponential growth of IoT devices supported by 802.11ax, comes very real security concerns. Industrial and enterprise IoT devices, like sensors and smart city technologies, aren’t known for robust security. Sometimes, they don’t consist of more than basic factory-installed user IDs and passwords. That’s scary. Even scarier, most devices won’t even give your security team even a minimal warning about an attack. In these situations, you’ll need to turn to automated attack response — artificial intelligence and machine learning — to help secure the extended network. As of now, 802.11ax will use WPA3 for security enhancements such as advanced encryption. Also, support for Enhanced Open allows for the secure authentication of users in open networks like those in coffee shops and airports. In these instances, traffic is encrypted with Open Wireless Encryption (OWE). Another way you can secure 802.11ax is to segment networks and enforce single policies. This results in single policies being enforced for clients, whether they are connected wirelessly or not. As we mentioned earlier, 802.11ax is backward compatible with the current 802.11ac standard. For this reason, 802.11ac devices and access points won’t be the standard for a little while. When 802.11ax products come to market in 2020, we expect them to gradually filter into corporate networks. 802.11ax might not make a big splash with the average user. Most people who tap into the WiFi at their favorite sandwich shop probably won’t know the difference between WiFi 5 and WiFi 6. But WLANs all over the world are going to switch over to 802.11ax — rapidly. At that point, organizations need to be ready for 802.11ax. They need to understand the implications and more importantly be able to leverage the new standards. It’s never too early to think ahead. We expect 802.11 technology to be incorporated in the wireless networking sections of certifications like the Cisco CCNA Wireless and CompTIA Network+. You also should keep your eyes open for its addition to CBT Nuggets networking and security training courses.